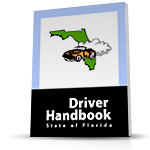 Kissimmee Driving School Online /Traffic Safety Consultants, Inc.
(emails are answered within 1 business day and usually within a few hours). For general information question, please call 7days-a week from 8am to midnight and up to 9 pm on weekends. (emails are answered within 1 business day and usually within a few hours). For technical support question, please call during normal business hours.